You will love this expanded Hawthorn floor plan on the golf course with a beautiful view of the 8th and 9th holes on Heron Lakes. The kitchen was updated with new cabinets and counter tops, giving it a more open feel. All three bedrooms have walk in closets, with the master closet being almost the size of some second bedrooms. You will have dual pane windows, central vacuum, a large laundry room with extra storage space, and a 2 1/2 car garage. The complete HVAC system was replaced this year and the roof was replaced completely in 2013. 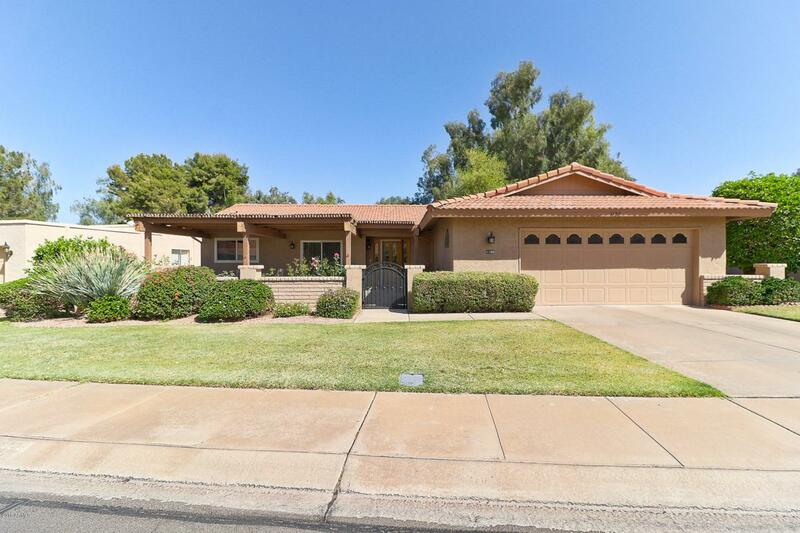 This home has been meticulously maintained and has the records to prove it. Come see this home soon, as you will love it. All of this in the desired Active Adult Resort Community of Leisure World with every activity and amenity you could enjoy. Cross Street Power Rd And Southern Ave.